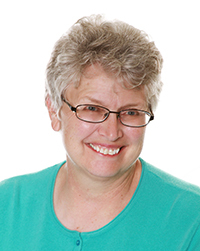 Sandy is the Owner, Director, and Head Educator of the Health Enrichment Center in Lapeer, MI, dedicated to achieving excellence in massage practice. Sandy is also passionate about training the next generation of quality instructors and leaders She also maintains an active massage practice with individual professional football players, basketball players and others. Sandy is the author of several massage texts including “Mosby’s Fundamentals of Therapeutic Massage” and “Sports and Exercise Massage”. An educator for many years, she designs classes with innovative concepts and teaching strategies. Sandy earned her Master’s Degree from Thomas Edison State College in 2000 and her Bachelor of Science in Health Science from Central Michigan University in 1998. 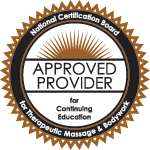 She is affiliated with the American Massage Therapy Association, American Massage Professionals Association, and Advisory Board for International Journal of Bodywork and Movement Therapies.